What was once home to the Oliva Tobacco Co. will soon open as the Angel Oliva Sr. Building. 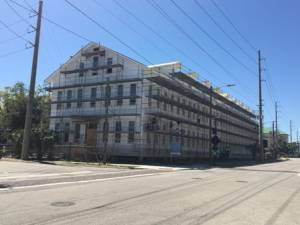 The 32,000-square-foot wooden cigar factory was built in the late-1800s and is currently going through some final touches before leasing begins on what is now home to 38 luxury apartments. The restoration project is one of the few being led my Ariel Quintela and his business partner Darryl Shaw that aim to bring more residential and commercial space to the National Landmark Historic District of Ybor City. Read the full story from TBO by clicking here.